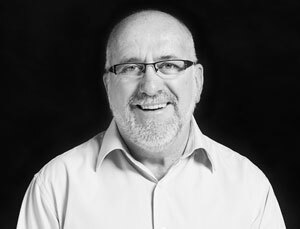 Tony established his consulting practice in August 1998 and for the last 20 years has managed major organisational and cultural change projects and been involved in the development of key policies and strategies across all tiers of government and in other sectors. Tony is respected for his leadership and management skills and for his highly developed understanding of the workings of government and industry and the importance of strategic relationships between government, industry and the community. He has provided advice to many Boards and organisations on how they are able to improve their governance frameworks and operations. Tony has held a number of senior executive positions during his career namely, Principal Cabinet Officer, Department of the Premier and Cabinet, Principal Consultant, Government Management Board, Director Corporate Services, Attorney-General’s Department, Commissioner for Consumer Affairs and Executive Director Office of Consumer and Business Affairs and Chief Executive Officer, City of Mitcham and recently as Executive Director, Institute of Public Administration Australia (SA Division). Tony has been involved in the health sector for more than a decade and is Chair and a Board Member of two national health-related not-for-profit organisations. Tony has also undertaken a number of high-level health-related projects with a number of key organisations including the SA Health and Medical Research Institute (SAHMRI) and Baker IDI Heart and Diabetes Research and he has co-authored three major articles on the development of health service standards and consumer engagement frameworks for consumers involved in research. Debbie has been working as Project & Administration Officer for the Laurel Palliative Care Foundation (formerly Daw House Hospice Foundation) for a little over 20 years and during that time has seen many changes – all for the better. Working for such a wonderful Foundation has been a privilege and she considers herself very fortunate to actually ‘love her job’. The sense of being a part of something that helps people at a truly challenging time in their lives is very fulfilling to her. The Foundation receives letters and donations from families every week expressing gratitude for support and services their family has received via the Foundation which reinforces to Debbie, that what we do is important and therefore such a rewarding part of her job. Debbie received a traditional blessing at Angkor Wat on her 2012 Cambodia bike trek, fundraising for the Laurel Palliative Care Foundation.